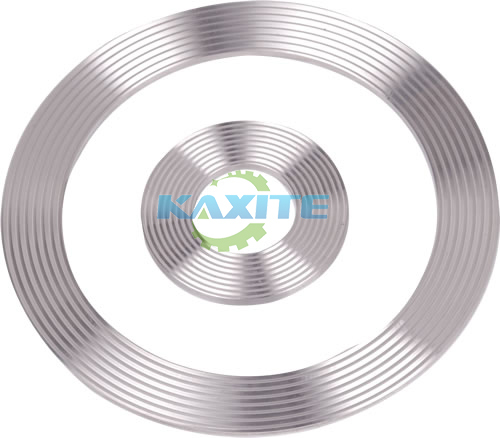 ﻿ Kammprofile Gasket Basic Style - Manufacturer of Kammprofile Gasket Basic Style from China. Kaxite Kammprofile gaskets are recognized as a problem solver for heat exchangers, large vessels, and equipment that experience excessive movement due to thermal expansion. The Kammpro provides one of the tightest seals combined with superior load bearing characteristics. 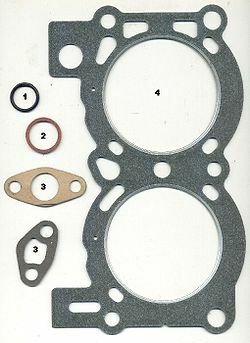 Kammpro gaskets consist of a sealing core metal with or without guide ring. 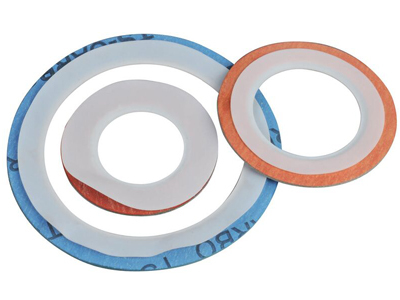 The sealing core is a solid metal gasket with concentric serrations on both sealing surfaces and faced with soft material such as flexible graphite, EPTFE, or the HTG configuration depending on operating conditions. It is the preferred design when needing improved performance at low seating stresses. The simultaneous actions of a high compressibility facing material on the outside of the grooved metal in combination with limited penetration of the tips of the solid metal core enhance the interaction of the two materials. This allows the component to perform individually to their optimum capabilities. Basic Kammpro style is manufactured without a guide ring for tongue and groove, or recessed flange applications such as Male and Female. It is typically used in heat exchanger applications and applied as an upgrade to double jacketed gaskets especially when lower load is needed. It is highly suggested to have the nubbin (if present) machined out when applying Kammpro LP1 in heat exchanger applications. Kammpro style with inner ring is constructed with an integral guide ring for aligning purposes. It is suggested to be used in raised face flanges. The sealing core is designed and sized per EN-12560-6 spec and depending on the flange specification the guide ring is sized to fit properly. Kammpro style with outer ring utilizes a loose outer ring. This popular design is preferred to be used for nominal pipe size and pressure class raised face flanges and is used in equipment with excessive radial shear characteristics, thermal cycling, and expansions. 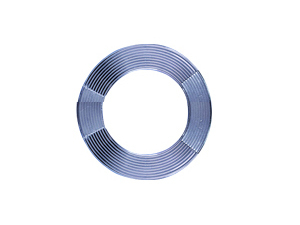 The sealing core is designed per EN-12560-6 spec and the guide ring is sized to suit the flange specification.